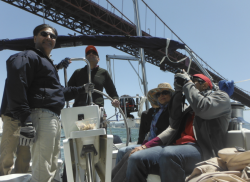 All sailing tours San Francisco Bay with GS Charters are skippered, taking up to six passengers. 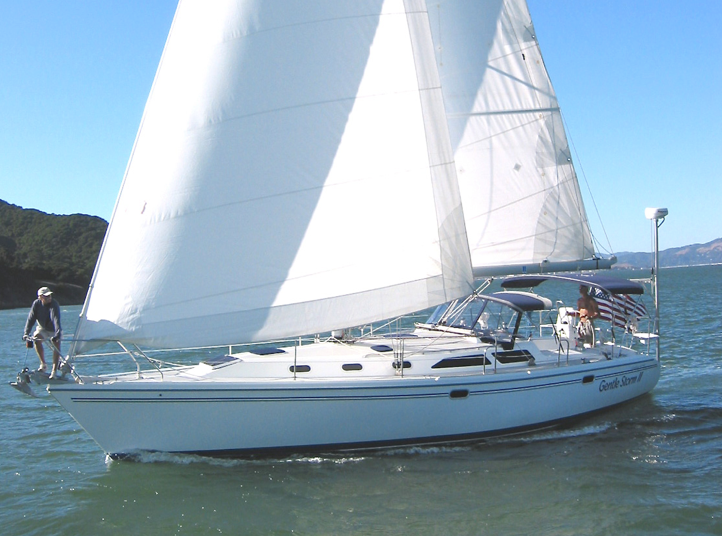 We only do private sailing charters, so the boat is yours for the day.You may help with the sailing or simply relax and enjoy the ride- or do both. 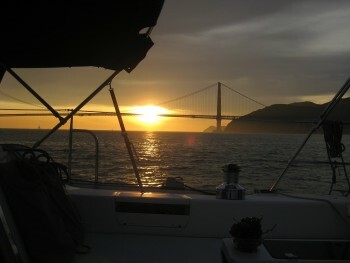 We sail from Sausalito and go underneath Golden Gate Bridge. On some days, we sail out farther. Others, we poke our nose out the gate and then head back to sail in the exciting breezes along the San Francisco City front. Usually, there are Harbor porpoises near the bridge and even an occasional Pacific White Sided Dolphin. We then go past Alcatraz and Angel Islands to the east side of Angel Island where the winds are light and the water is calm. Our final leg takes us through Raccoon Straits past Tiburon and the mansions of Belvedere. The weather on San Francisco Bay is good year-around. Some of the most pleasant days are in winter, when winds tend to be lighter.